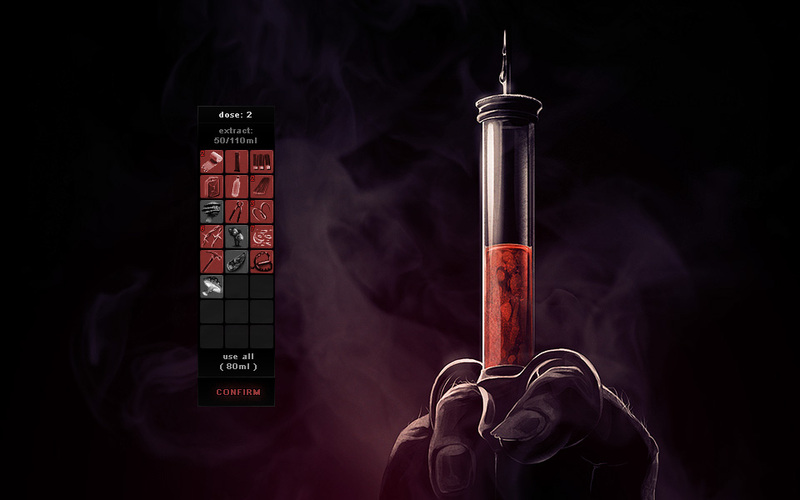 You select the items you want to “cook”, filling up the syringe with essence. Once it’s full, you can inject it’s contents into your bloodstream, triggering a reaction from your body, enabling you to choose the direction you want to mutate. Most of these cookable items also have other properties and istead of harvesting them for essence, you can use them to heal yourself of wounds, poison, add temporary boosts, or lure creatures with it. 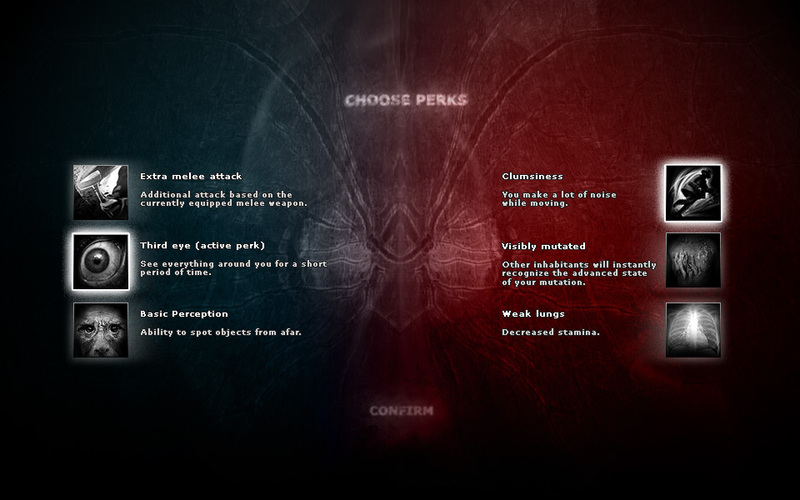 By mutating, a set of new random skills or perks will be presented to you, from which you can choose one. Sometimes, you will have to select a negative mutation. These skills range from basic modifiers like attack damage, health and stamina, to additional abilities like new attack types, effects that last for a limited time, or perks that affect how others react to you. This means that on each playthrough, you will have to adapt your playstyle to the way your character mutates, while having some control over it. For example, it may happen that you’ll get to play a tough, strong and fast, but also paranoid and almost deaf character. We find this to play a really big part in replayability, so that each time you start over, you get a unique experience. Also, worth noting is the fact that a part of the essence you have gathered lingers on to your next incarnation when you die. Keep in mind, however, that injecting too much essence in a short period of time may have also other, mostly dire consequences.. 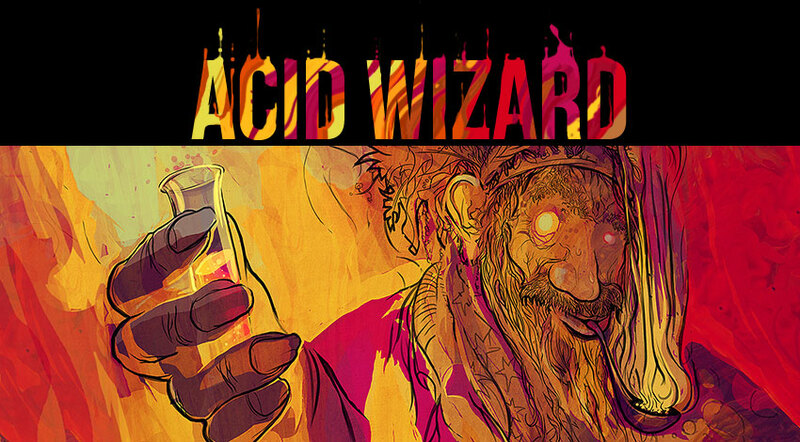 In other news, IndieDB’s 2013 Indie of the Year nominations are open, and you can help us out by casting your vote here! 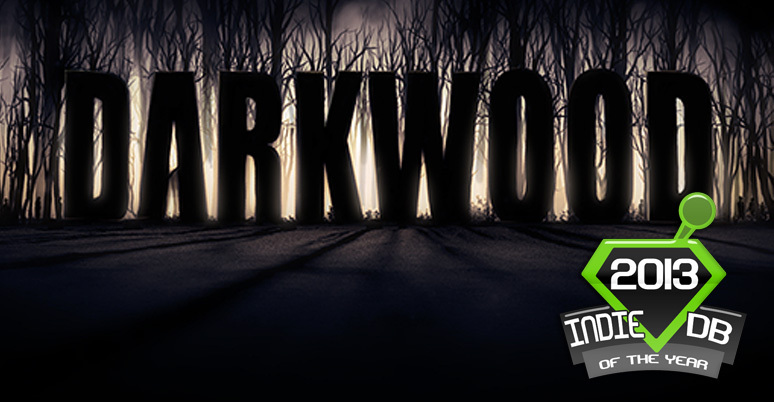 Darkwood isn’t released yet (duh) so we compete in the Player’s Choice Best Upcoming category. Thanks!